We have been supplying, installing and servicing all type of water pumps for many years. Our technical and hands on expertise allow us to design, provide and install a pumping system which is especially tailored to meet with your chosen application, together with the complete range of well and borehole pump accessories, from simple foot valves to sophisticated electronic control equipment. Our guarantee is to ensure that the recommended system offered is the correct pumping system for the task in hand. We supply and install a wide range of well and borehole pumps from a variety of well-known pump manufacturers such as, ABS, BBC, Calpeda, Caprari, Dab, Ebara, Espa Flygt, Grundfos, Jung, Pedrollo, Rovatti, Saer, Tsurumi and Oase to name but a few. The typical types of water pumps we deal in are; centrifugal, end suction, inline, back-pull-out, multistage, borehole, well type submersible pumps, self-priming, engine driven, 12v and 24v AC and DC, progressive cavity ‘Mono Type,’ regenerative turbine, piston, diaphragm, hand pumps, drum pumps, dosing pumps; in fact, any type of pump…phew! We offer a full pump service and repair facility in our fully equipped workshop carried out by trained and skilled engineers. A majority of repairs are carried out whilst on site whenever possible, thereby ensuring continuity of vital water supplies. In cases where this is not possible we will attempt installing a temporary pumped supply. In addition, we offer a dedicated 24hr emergency breakdown service and in essence will endeavor to attend site as soon as possible, ensuring that vital services are maintained with the minimum of disruption. Already have a submersible pump or any other pump system in place that requires annual maintenance? We have many clients that benefit from a long term relationship built upon our years of expertise. A site visit will be carried out and then prices submitted for the annual or biannual maintenance programme. Our pump service experience has demonstrated that waiting until something goes wrong is not the best option. For critical pump installations we would always recommend a biannual maintenance service, however realise that costs may be a crucial factor; therefore, annual is certainly better than waiting for disaster to strike. Product being pumped i.e. clean water / dirty water / sewage / slurry / water with chemicals etc. This should be ample information of getting on with and if we require further details we will contact you. With this information we will then select the most appropriate pump for your application in hand. We are more than just a company interested in selling water pumps online, we offer a full supply, pump installation, service and maintenance programme. We have been providing our services since 1988, our service area covers the whole of East Anglia. We have clients in Suffolk, Essex, Cambridgeshire, Hertfordshire, Norfolk and even up in Lincoln and down in Sussex. 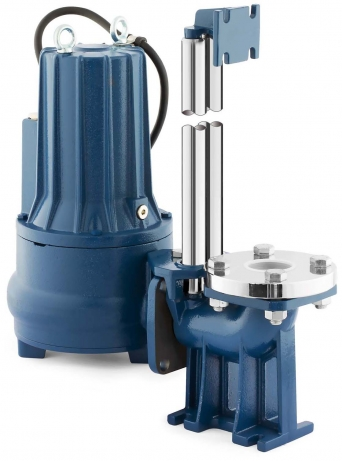 We would be pleased to offer assistance in selecting the correct type pump and installation advice for equipment purchased from our webshop.